Bell, CA. August 29, 2018 – The Salvation Army California South Division is set to commemorate the opening of the Donald and Priscilla Hunt Apartments at Bell Oasis, marking a significant expansion of their Bell Shelter grounds, one of the largest homeless shelters in the western United States. Although the apartments are open and already receiving tenants, the formal grand opening ceremony will take place on Thursday, September 27, 2:00 PM at 5600 Rickenbacker Road, Bell, CA 90201. 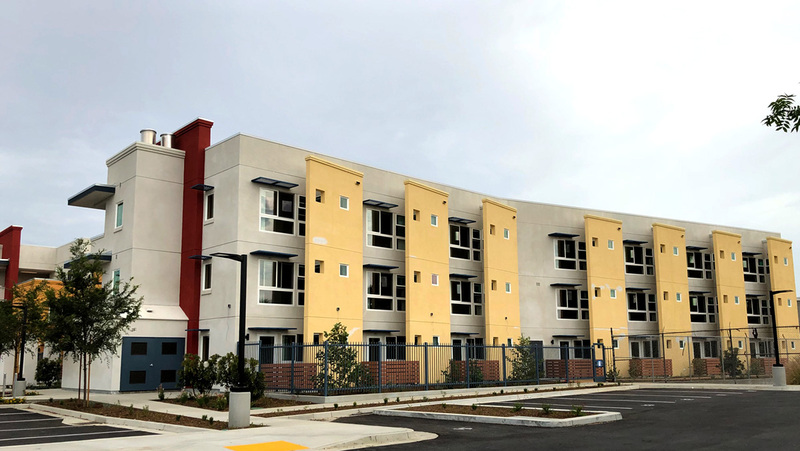 The Donald & Priscilla Hunt Apartments at Bell Oasis is a forward-looking rapid re-housing project with 64 affordable housing units, including 43 reserved for veterans. Residents have full access to The Salvation Army’s social services and programs located across the street at the larger Bell Shelter campus. The completion of the apartment complex was made possible thanks to the generosity of corporate partners such as The Home Depot Foundation, which awarded a $400,000 grant to the project. The L.A. Times recently covered the controversy surrounding the city of Bell and its plans to allow a cement company to open up a disruptive new gravel yard near the Bell Shelter. The Salvation Army opposes the city’s plans, which would see hundreds of gravel trucks driving between the Bell Shelter and the new apartment complex on a daily basis, thereby lowering the quality of life for residents. Although the matter is still developing, The Salvation Army remains committed to opening The Donald & Priscilla Hunt Apartments at Bell Oasis and providing its residents with the care and dignity they deserve.